On Thursday the Coastal Advisory Council — an appointed group that advises the DNR board — finalized a strongly-worded letter to that board. “On April 22, the coastal public was stunned when EPD announced that it had decided to reconsider the long-established interpretation of (Georgia law) by revoking buffers landward of the marsh-upland boundary in all locations where there is no evidence of ‘wrested vegetation’ — which would eliminate nearly all buffers along coastal marshes in Georgia,” the letter states. Dave Kyler, executive director of the Center for a Sustainable Coast, proposed the letter. The buffer — a strip of naturally-vegetated land — filters pollution out of the marsh, he said, and protects people and property. The council’s letter suggests that DNR reverse the directive as soon as possible and begin development of new legislation to fix the perceived wording flaw in the current law that’s being used to justify the buffer rollback. The state’s coastal delegation of lawmakers is considering proposing legislation to achieve the same goal, said state Sen. Buddy Carter (R-Pooler). “When (EPD Director) Jud Turner made that announcement on Earth Day, it was the epitome of irony,” Carter said. In the meantime, Carter said, local municipalities can act more quickly than the state Legislature, which won’t convene again in regular session until next year. Tybee is starting down the road of a local fix. 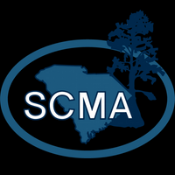 On Thursday, council member Paul Wolff introduced a marsh buffer there based in part on an existing buffer in unincorporated Chatham County, though more narrow at 25 feet. City council member Bill Garbett likes the idea of a buffer — “Oh, we’ll have a buffer,” he said before the council meeting — but he wants one that allows gardening or a small deck in the buffer. Waiting for the state Legislature to reinstate the buffer could be detrimental to the marsh.